From Dyce to the Deep South, jazz is recognised as a key form of musical expression. First developed from blues and ragtime in the late 19th Century, the genre is characterised by soulful swing and blues notes often played in an improvisation setting. North-east residents will soon have the chance to dive deep into this musical myriad, with the Aberdeen Jazz Festival which begins next week. The 10-day jazz extravaganza will see the Granite City play host to more than 70 musical acts who will be performing in venues around the city. 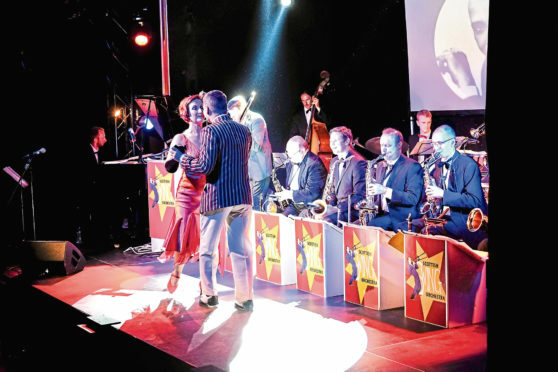 The event covers a range of jazz styles from updated traditional jazz played by the all-female Red Hot Rhythm Makers, through to The Story of Swing and a grand homage to Ray Charles. In addition to well-known international artists, the festival is bringing together some home-grown talent too. Fergus McCreadie, from Dollar in Clackmannanshire, is a regular on jazz line-ups around Scotland, and is looking forward to getting in front of a north-east crowd. 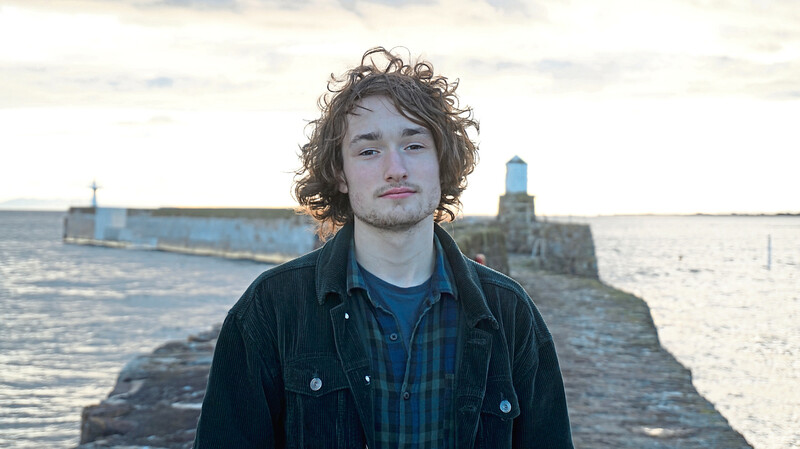 At just 21, his music has been praised for sounding wise beyond his tender years, and just last year he received the Best Instrumentalist prize at the Scottish Jazz Awards. “I never thought I’d end up as a jazz player,” he laughed. “I started taking piano lessons when I was seven and to be honest I didn’t enjoy it. “The idea of working through grades and playing the same pieces of music over and over just seemed really soulless. “But when I was 12 or 13 I saw my first ever live jazz performance and it opened my eyes to what music could be. From there Fergus enrolled at the Royal Conservatoire of Scotland, where an emphasis on composing led him to begin writing his own jazz arrangements. Now Fergus performs with a bassist and a drummer, and the trio are off on a tour of Scandinavia and Eastern Europe come April. “Audiences can expect a variety of moods and dynamics from our show,” Fergus said. “We have songs which are very high energy, high tempo and played with real fire, but equally we have songs which are more evocative and atmospheric. “We don’t feel like we have to stick to traditional jazz, and sometimes lean towards a more funky, Scottish vibe. “I’ve played a few times in Aberdeen and the audience has always been fantastically receptive. 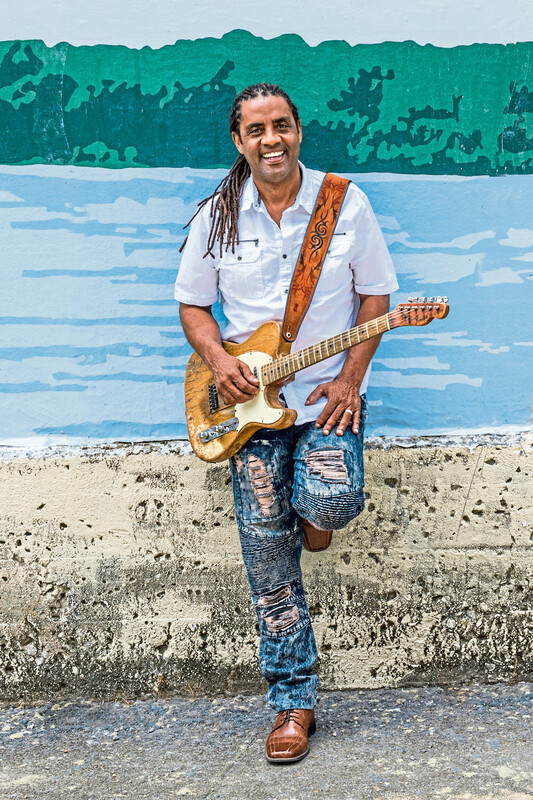 The festival also launches the first ever Aberdeen Blues Weekend, which features performances from the queen of Scottish blues Maggie Bell, ex-Whitesnake guitarist Bernie Marsden and direct from Louisiana, swamp blues master Kenny Neal. Although blues and jazz are recognised as different genres, they have a lot in common. Kenny has been in the game since the 1980s, having grown up in a musical family who encouraged him to pick up an instrument at an early age. “I don’t remember when I first started to play,” said the now 61-year-old. “My dad was a band leader and I grew up in a house which was always full of music. As jazz spread around the world, it drew on national, regional and local musical cultures, which gave rise to different styles. New Orleans jazz began in the early 1910s, combining earlier brass-band marches, French quadrilles, ragtime and blues. “The key for me is that I never make my music sound ‘right on’,” Kenny said. “Blues is played with feeling and it’s different every night. “The songs might be the same but I’m not reading off a chart, so they are not played in the same way. With guitars and harmonicas taking centre stage at his shows, Kenny’s sound is typical of where he’s from. “Jazz was what I was brought up on,” he said. “Louisiana is soul, rhythm and blues country, as well as Cajun style. “I describe my sound as swamp blues – it’s all that rolled into one. The Aberdeen Jazz Festival runs from March 21-31 in various venues across the city. For tickets and more information, visit www.aberdeenjazzfestival.com or call the box office on 01224 641122.